Audit can be defined as the process of independent examination or checking of the financial statements and records of an organization, in order to give an unbiased opinion on their accuracy and level of integrity. Over the years, audit has evolved to include within its scope the non-financial areas and operational matters in its ambit e.g. management audit, risk audit, performance audit, etc. 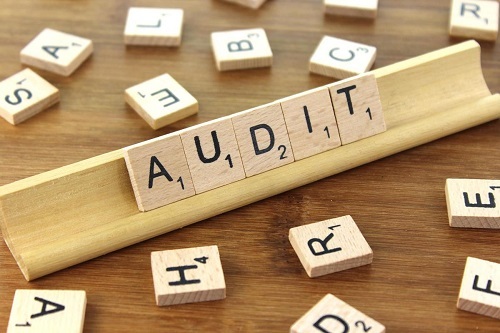 Internal audit can be described as the critical investigation of the financial statements and records of a business or organization, by its own employees. These employees of the business are called internal auditors and they are appointed by the management of the organization. The nature of work by the internal auditors is determined by the management of the organization, (audit committee). By nature, Internal Audit is not compulsory and It is carried out almost continuously in a business organization. Internal audit involves the critical review of the non-financial and operational aspects or activities of the organization, for example, management audit, performance audit, IT audit, etc. External audit is an independent critical investigation of the financial statements and records of a business or organization. External Audit is compulsory for every separate legal entity. It is done after the preparation of the financial statements of the company. An independent auditor, called external auditor, is appointed by shareholders to carry out the audit process and give an unbiased opinion on the financial statements and records of the company. The external auditors of a company carry out the audit under the provisions of an applicable law on behalf of shareholders or a regulator. The basic auditing process of internal audit and external audit is almost same, so the following are their similarities. Internal and external audit are based on the sound principles of accounting and auditing. The main aim of the two types of audit is to find out the errors and detecting the frauds. Both internal and external audit want to judge the accuracy of the financial statements and records. Both are required to give an unbiased opinion on whether the financial statements and records provide a true and fair reflection of the actual financial position of an organization or business. Legal Status: Internal audit is not compulsory; but external audit is obligatory or compulsory according to the law. Nature of Audit: Internal audit is done on continuous basis; while external audit is done after the preparation of final accounts and financial statements. This is carried out on yearly basis. Objective: The main objective of internal audit is to examine and improve the effectiveness of accounting, financial activities, governance, risk management of the company; while that of the external audit is to add credibility and accuracy to the financial statements and reports of the company. Coverage: Financial statements and records, various risks, and other operational activities is covered in internal audit; while external audit covers financial statements and records. Type of Checking: Checking of almost all the financial statements and records is involved in internal audit; while external audit may be done through test checking or sample checking. Scope: The management of the company determines the scope of internal audit; while the scope of external audit is determined by the relevant law or a regulator. Focus: The main focus of internal audit is to discover errors and frauds; while the primary focus of external audit is to verify the accuracy and reliability of the financial statements, and to determine whether the financial statements provide a true picture of the real financial position of the entity. Report Submission: The Internal audit submits its report to the management of the company or organization; while external audit report is submitted to the shareholders, or to a regulator. Guidance: Internal audit involves making suggestions for the improvement of financial statements, accounting of the company; while external audit does not involve making such suggestions except in some cases. Audit Activity: Internal audit is usually done by an staff of the company while external audit is done by an independent person or agency. Appointment: The management of the company are saddled with the responsibilities of appointing internal auditors; while the external auditor is appointed by the shareholders of the company. Qualification: There is no specific qualification compulsory for internal auditor; but for an external auditor, some specific or prescribed qualification is compulsory. Remuneration Type: Internal auditor gets a salary usually on monthly basis; while a specific audit fee is paid for the external audit, usually based on contract or on the audit assignment. Remuneration Fixation: The salary of the internal auditor is fixed by the management of the company; while that of the external audit is fixed by the shareholders of the company. Shareholder Meetings: Internal auditor has no business with the meetings of the shareholders of the company; while external auditor can attend the shareholder meetings. Removal of Auditor: The company management can remove internal auditors; while only the shareholders of the company can remove the external auditor. Professional Misconduct: In the case of professional misconduct, Internal auditor will not be prosecuted; while external auditor can be prosecuted for professional misconduct as per the procedure prescribed under the relevant law or statutes.